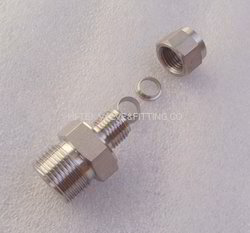 Prominent & Leading Manufacturer from Indore, we offer miniature connector, 3 pin connector, adjustable compression fitting and temperature transmitter. With thorough understanding of the relevant industry, we are offering a wide range of 3 Pin Connector. 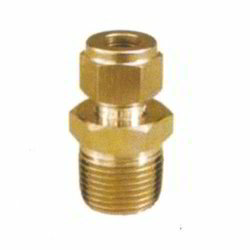 This connector is manufactured using optimum quality raw material and advanced technology. In tune with different requirements of our copious clients, we customize the entire range in various sizes, designs and shapes. Our offered range has gained exceptional value amongst our clients for its defined features. Under the strict supervision of our experienced professionals, we are offering an innovative collection of Adjustable Compression Fitting. Our offered range is availed in a variety of sizes, dimensions and other such specifications to choose from. The offered range is precisely designed at our highly advanced manufacturing unit following industry defined guidelines. 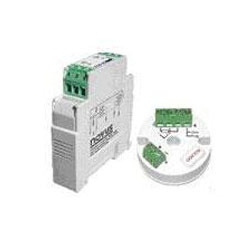 This product can also be availed from us at the industry leading prices. Since our establishment, we have become the well-known manufacturer and supplier of a high quality array of TemperatureTransmitter. The offered range is manufactured by utilizing high grade raw material and advance technology by our skilled engineers. Apart from this, our range is tested on various parameters in order to ensure its sturdiness and quality. Clients can avail these products from us in different sizes and at affordable prices.